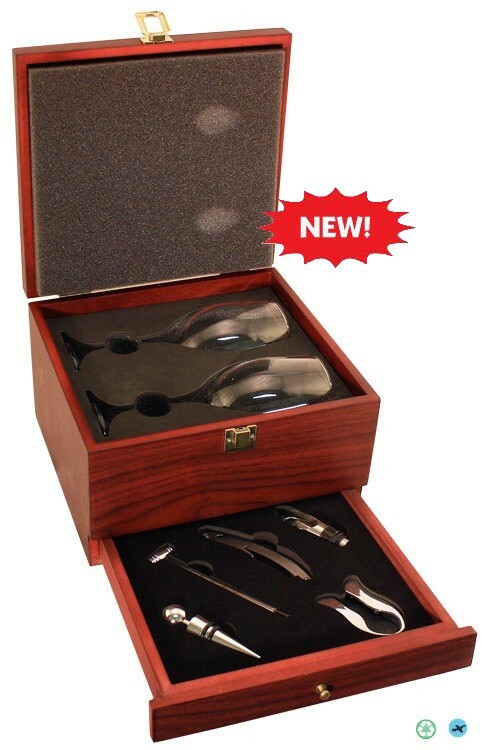 Rosewood Finish Presentation Wine Box w/Drawer & Tools. Holds 2 14oz stemware wine glasses and 5 tools/accessories in the slide out drawer. 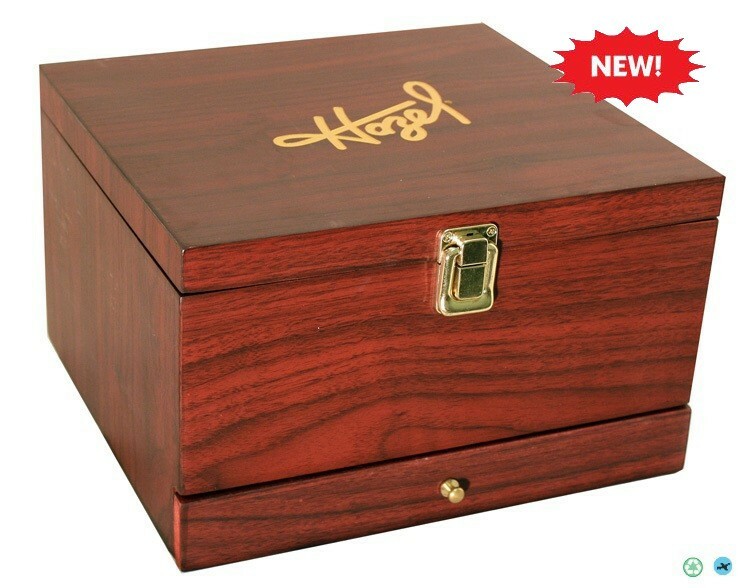 Included in price, Laser Engraved top of box/Lid: Up to 8 square inches with your design. 14 1/4” x 8 1/2” x 4 1/2”. Imprint - Laser Engraved/: Up to 8 square inches included in our price. Call for quote on custom laser for inside. Add $.50 (G) per additional square inch per item. Extras: Set-up charge: $55 (G).